Cheer camps and gymnastics schools rely on ClassJuggler’s web-based business software to manage class scheduling, customer billing, online bill pay, and all other “backend” office matters. Learn how CheerClassJuggler’s gymnastics school business software can help you get a grip in managing your school! 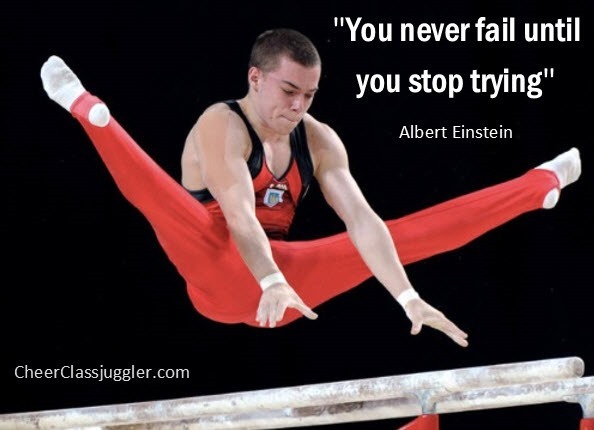 This entry was posted in Cheer ClassJuggler, Motivation and tagged Albert Einstein, cheer quotes, gymnastic quotes on April 17, 2015 by classjuggler. As ClassJuggler celebrates its 10-year anniversary, you can benefit! In April you’ve got a chance to win our biggest contest prize to-date: a $250 cash* prize in our “Video High-Five” contest! To enter, create a short video of you, your staff, students, or all of you together, wishing ClassJuggler a happy 10-year anniversary. Be creative, have fun! Quick ‘n easy – any length less than 30 seconds is acceptable. The winning video will be decided by online voting. Shoot an original video from your studio, gym, school, or mobile location, wishing ClassJuggler a happy 10-year anniversary. The more the merrier! You, your staff, and your students can all be in the video. The finished video can be any duration under 30 seconds. Upload your video to ClassJuggler and we will post the video to our YouTube channel. To upload your video, click here. Send us an email with your name, business name, and phone number to let us know about your entry at contest@ClassJuggler.com. Your video must be submitted before Midnight April 20th to be considered. Submitted videos will be judged by ClassJuggler based on originality and creativity, and on meeting the contest qualifications. ClassJuggler will select our favorite submissions and then post them so you and your friends can vote for your favorite finalist between May 1st and May 20th. Entrant does not need to be a ClassJuggler client but must work for, or own, a dance, music, gymnastics/cheer, martial arts, K-12 school, or other business type that ClassJuggler serves. *Winners outside the US and Canada may receive ClassJuggler service credits in lieu of cash award. This entry was posted in About ClassJuggler, Cheer ClassJuggler, ClassJuggler Dance, ClassJuggler Dojo, ClassJuggler Fitness, ClassJuggler K-12, Music ClassJuggler, Swim ClassJuggler and tagged anniversary, Contest on April 9, 2015 by classjuggler. Maybe Einstein wasn’t a swimmer, but it’s true, don’t you think? Swim schools rely on ClassJuggler’s web-based business software to manage swim class scheduling, customer billing, online bill pay, and all other “backend” office matters. Learn more about how Swim ClassJuggler’s swim school business software can help you get in the fast lane of managing your school! 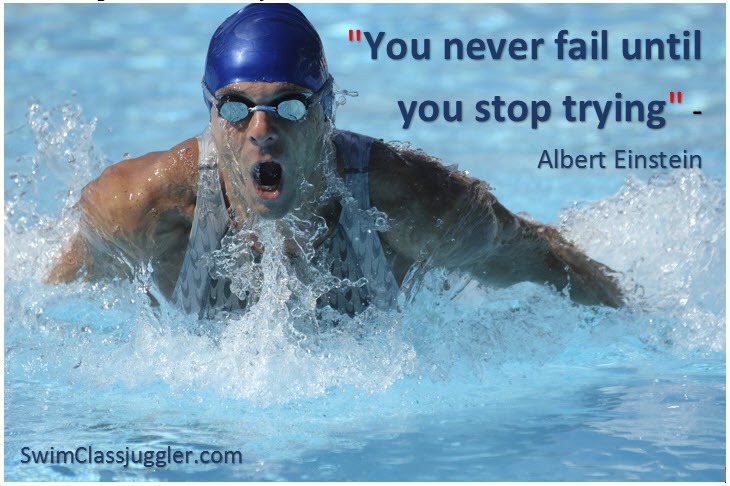 This entry was posted in Motivation, Swim ClassJuggler and tagged Albert Einstein, class management, swim schools, swimming on April 8, 2015 by classjuggler.